Clients can avail from us a premium range of Industrial Rubber Gaskets widely used in engineering and automobile industries. These are manufactured using top grade Elastomers such as natural rubber, Nitrile rubber, neoprene rubber, EPDM rubber, Butyl, viton, silicon & SBR depending upon the end use. which is procured from reliable sources. 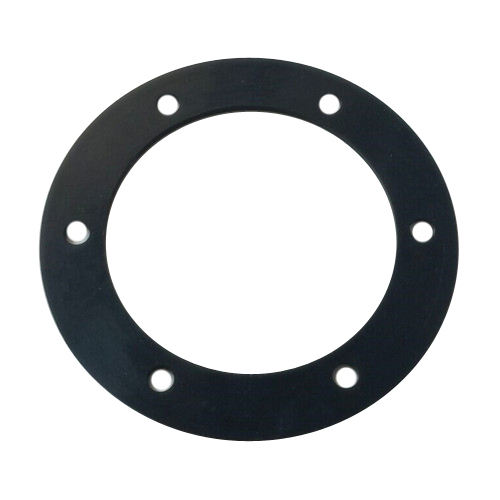 We offer these oil, temperature and fluid resistant, durable and strong Gaskets in form of rubber gaskets and molded rubber gaskets. We make use of quality rubber in the molding process of our gaskets. Our high precision range of rubber gaskets are used in application areas where oil, fluids and extreme temperature conditions are prevalent. Established in the year 1980, we have founded ourselves as a leading manufacturer and supplier of an immaculate range of Industrial Rubber Components. In our range, we meet the demands of rubber components such as Oil Seals, Diaphragms, Gaskets, Bushes, Canvas Seals, O Rings and Polyurethane Roller. These products are widely used in textile, automobile and hydraulic industries and paper mills. We make sure that our range is cost effective and offered within the stipulated time frame. As a result of this, we have been able to cater the specified requirements of the clients and build a good image in the market. Our state-of-the-art infrastructure has enabled us to meet the growing demands of global clients by offering them customized solution. A highly experienced team of professionals works in our organization, which keep themselves updated about the changing market trends. Further, easy payment modes, safe packaging and timely delivery of consignments offered by us have helped us to build a vast customer base.